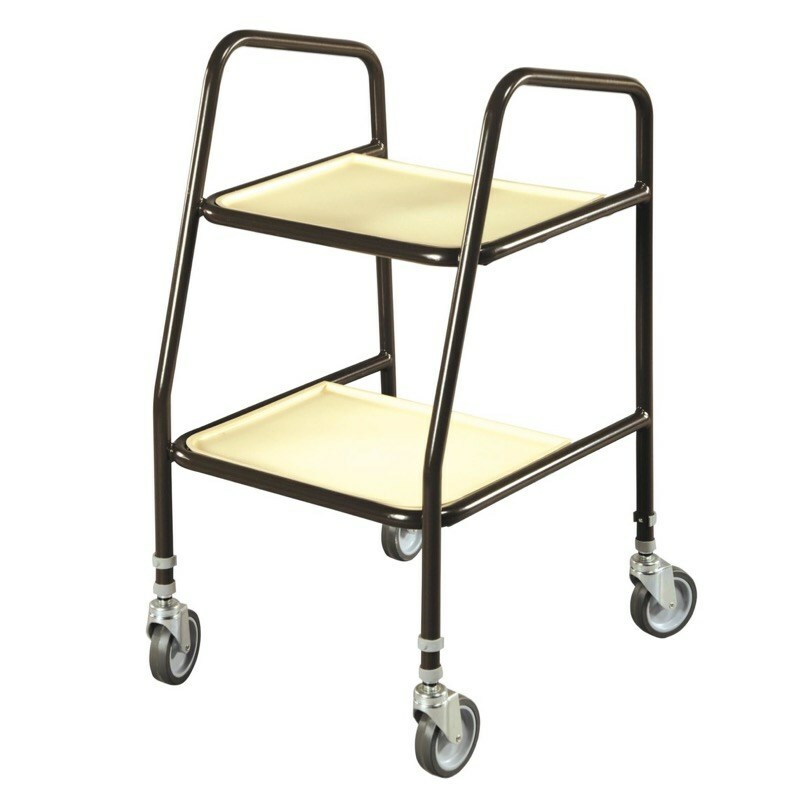 The Rutland Adjustable Trolley is constructed from welded plastic coated steel and is therefore extremely robust. The tough shelves are plastic injection moulded and will not crack and feature a continuous lip and unique clip on/off design for ease of cleaning. The bottom shelf is set forward to make it easier when walking. 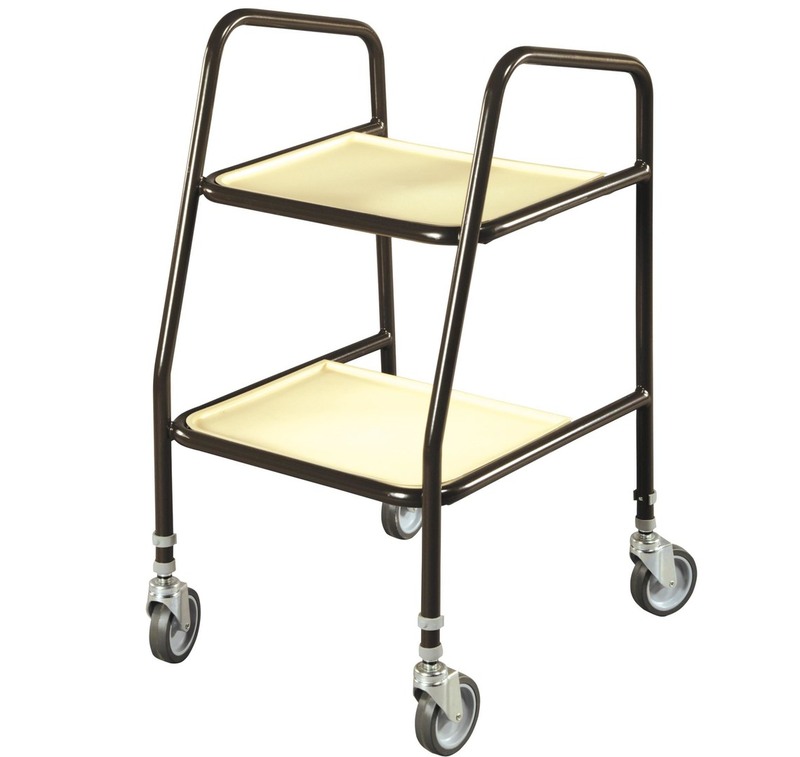 The trolley also has 4 large castors and an adjustable range of 33" to 39". Adjustable height range - 33" to 39"